Joany’s breakfast club is working well. We are going to spend our last day exploring Merida on foot, and are in no hurry to leave the breakfast table. Nor, it seems, is anyone else, as we all sit and chat until after 10. 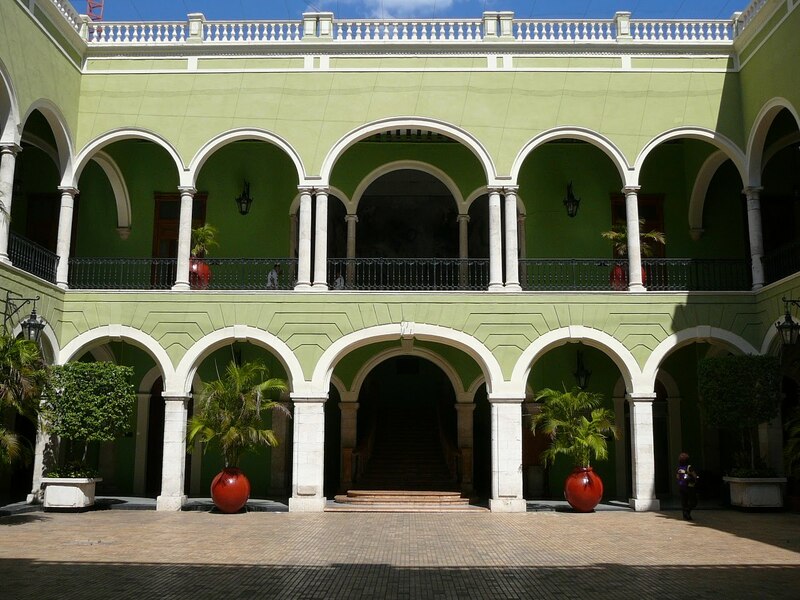 It is a two story building, painted green, around a courtyard of marble tiles and giant potted palms. 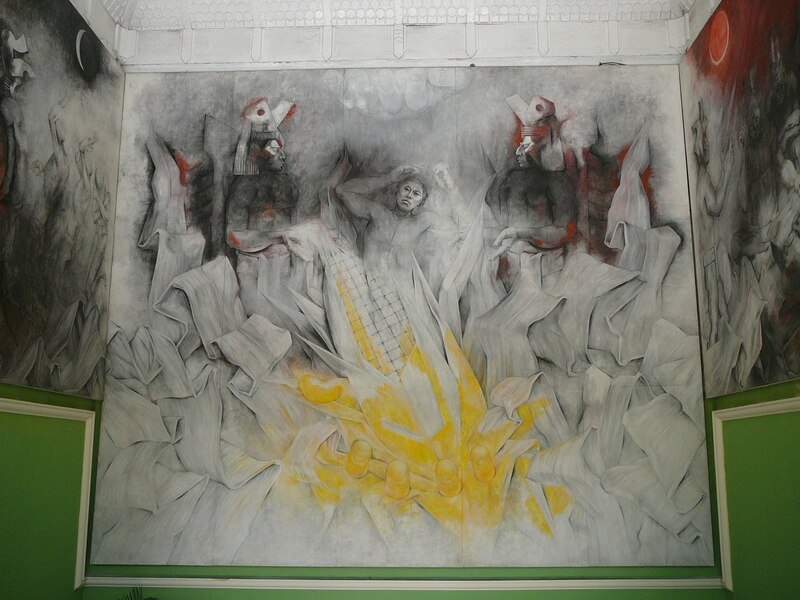 The walls are lined with murals by a local artist who was obviously inspired by Diego Rivera. Painted in the 60’s and 70’s, the paintings are art deco in feel with heavily stylized figures, depicting the Spanish Invasion and their struggles with the Mayans. There is a stunning room that runs the entire length of the upper floor, facing the square. The room is at least 25 feet tall, with amazing hanging chandeliers and a black and white tiled marble floor. Huge double shuttered windows run the entire length. Between each window is a painting matching the size of the windows. There are a few sofas against the inside wall, otherwise the room is empty. It is also empty of people and we soak up the atmosphere, enjoying the paintings and the wonderful views of the square and the cathedral through the open windows. Amazingly there is no entrance fee and the only security is two guards posted at the front entrance. 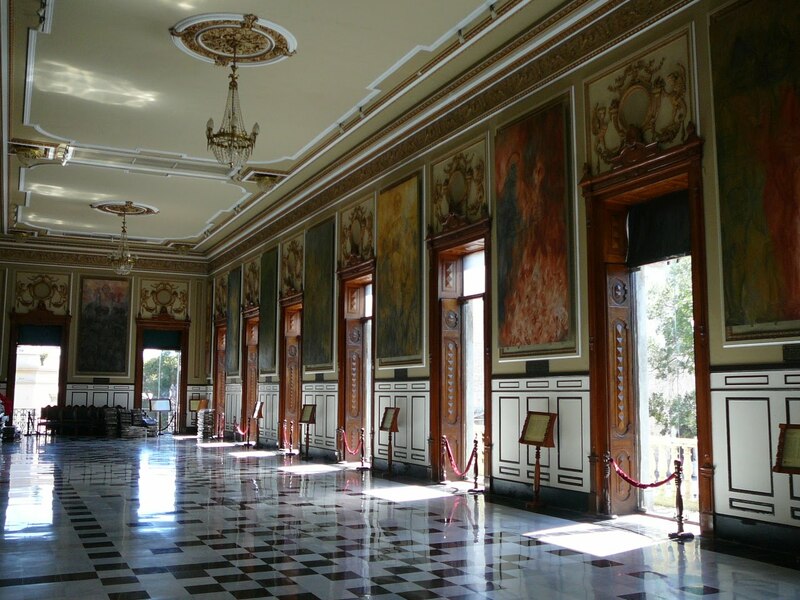 We are learning that many of the wonderful buildings and museums we come across on our travels in Mexico are free. 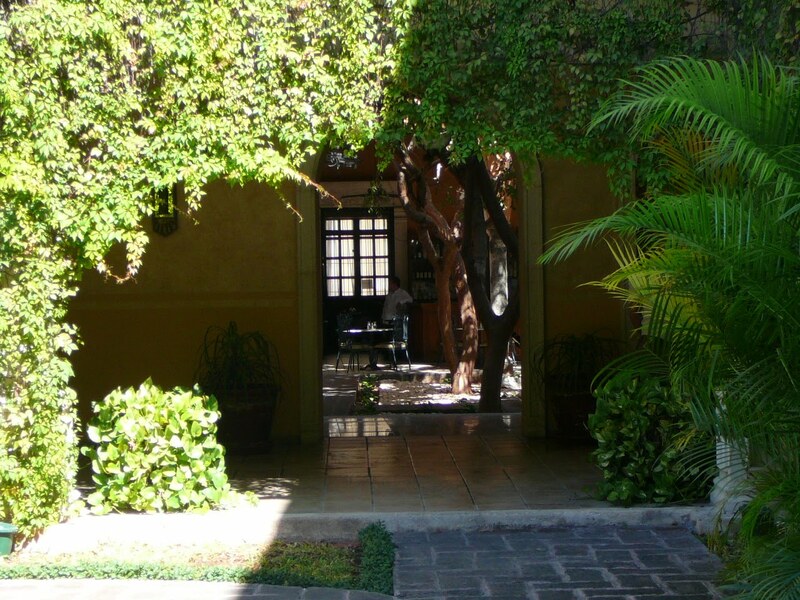 We continue to wander the streets admiring the old colonial houses, when we stumble on a lovely 17th century home converted into a lovely small hotel, called La Mision de Fray Diego. 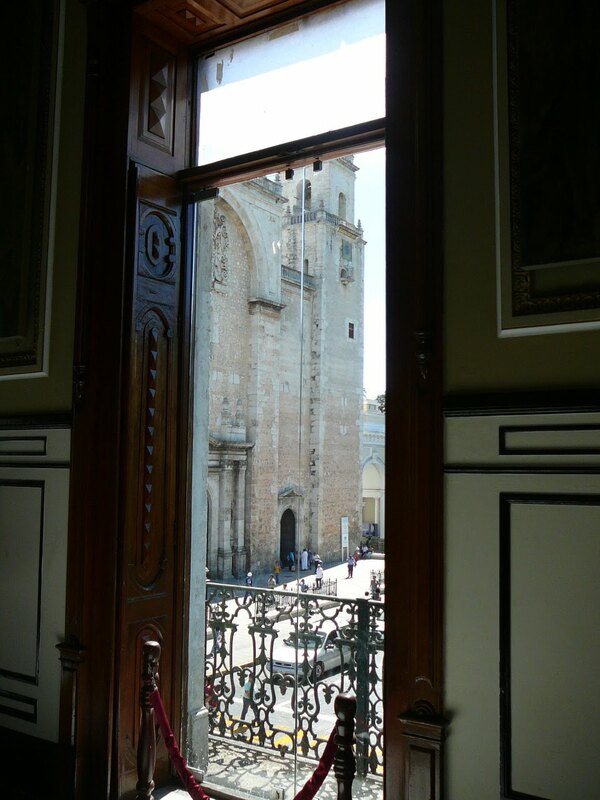 This entry was posted in La Mision de Fray Diego, Merida Governor's Palace. Bookmark the permalink.